In a major breakthrough, Manipur Police on Friday rescued altogether 101 trafficked girls and arrested six suspected human traffickers in separate raids in the State. A report quoting Keisham Pradipkumar, member of Manipur Commission for Protection of Child Rights (MCPCR) stated that this is the biggest rescue operation ever taken place in the region. 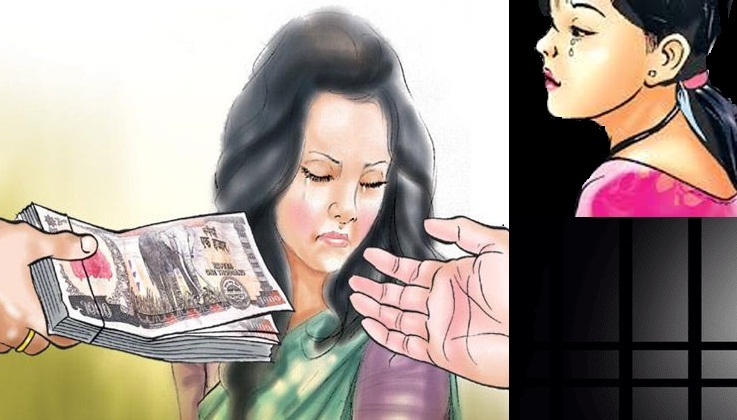 In the first incident, altogether 40 Nepali girls were rescued by a team of Tengnoupal police and arrested a suspected trafficker who was accompanying the rescued girls, from Moreh town early Friday morning. The girls were believed to have been on their way to be trafficked to different cities of South Asian and Middle-east countries through Myanmar. The Tengnoupal district police carried out the drive in suspected vehicles and hotels located at Moreh town bases on the intimation send by NGO based on Nepal to Delhi Women Commission regarding the illegal human trafficking of large number girls from Nepal for flesh trade. In a separate incident, four other persons including two male who are the prime suspect involved in illegal human trafficking were arrested from a hotel at Paona Bazar by a team of police. Subsequently, 61 more girls were also rescued from Keishampat Thokchom Leikai by a team of Imphal West police and arrested another suspected trafficker.